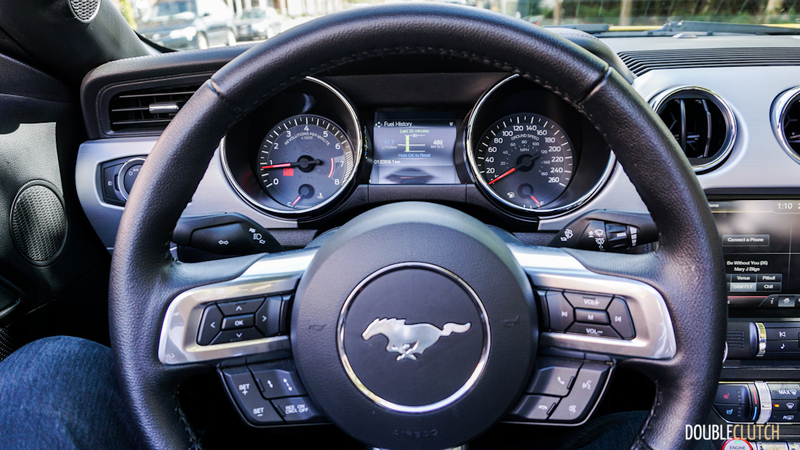 The reality is, this is a car you buy with your heart and not your brain. 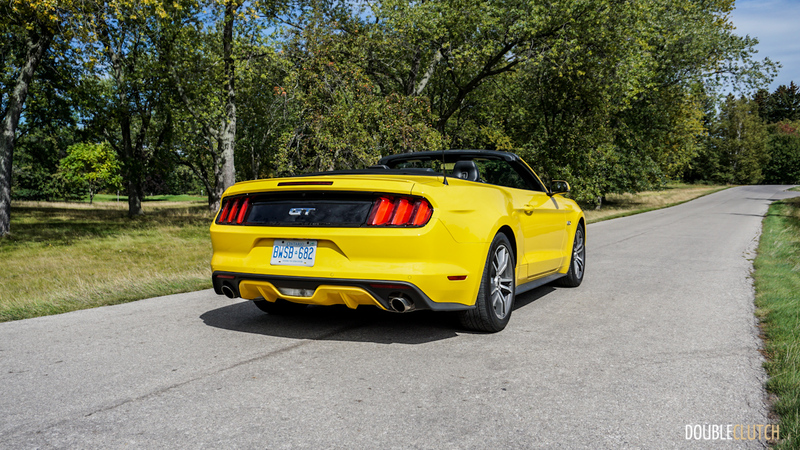 We’ve now sampled nearly every iteration of the legendary pony car from Dearborn – redesigned for the 2015 model year. 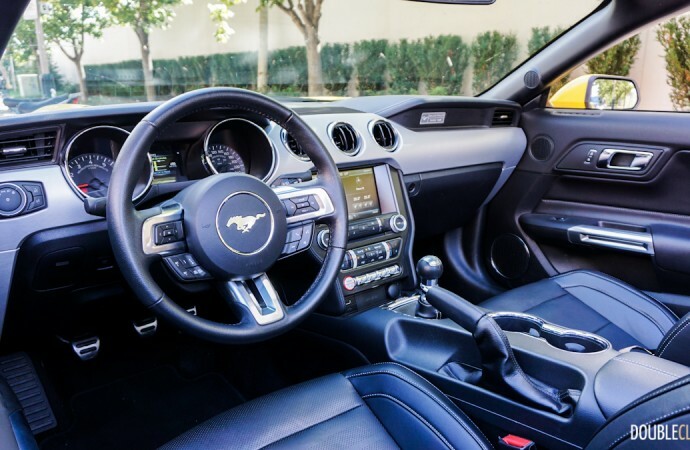 With looks that break necks everywhere and a variety of engine, transmission, and option choices, the Mustang can be customized to every buyer’s needs. 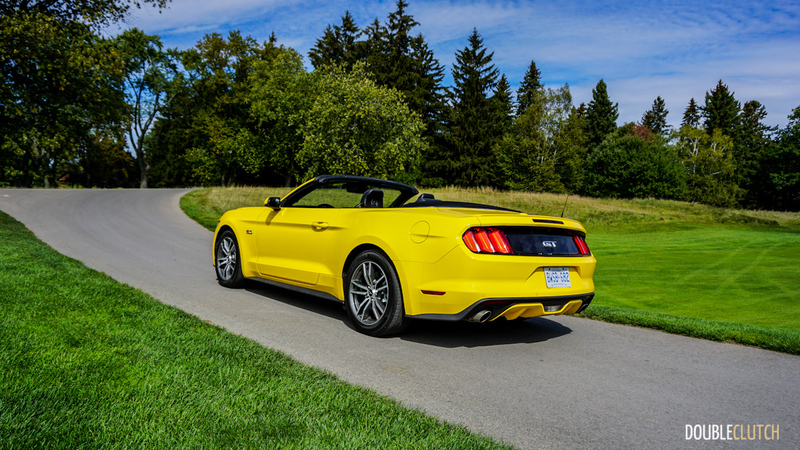 The only non-Shelby model left for us to test was this 2015 Ford Mustang GT Convertible, coupled with the six-speed manual transmission. 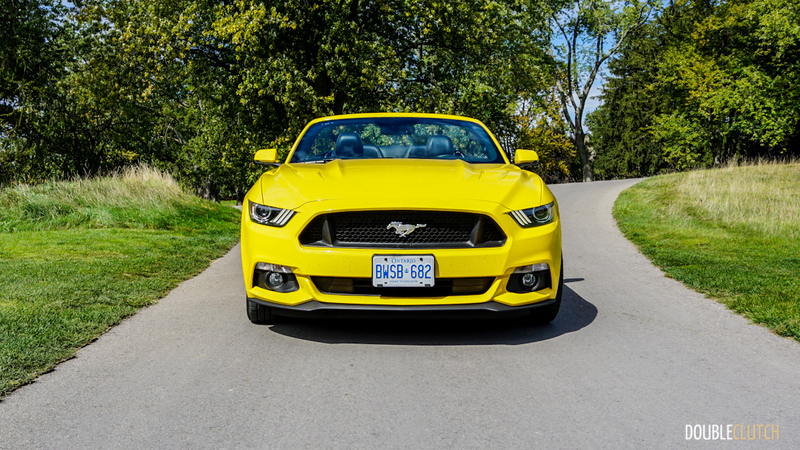 I grabbed the keys and decided to use this car on our end-of-season drive with a series of our readers. 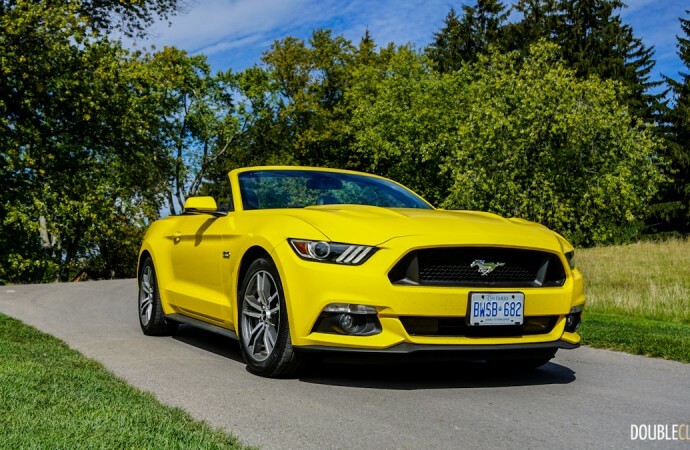 A guy I used to know owned a 1999 Mustang Convertible, also yellow, and despite only being a V6, it had a custom exhaust that made it sound (or so he thought) like a V8. 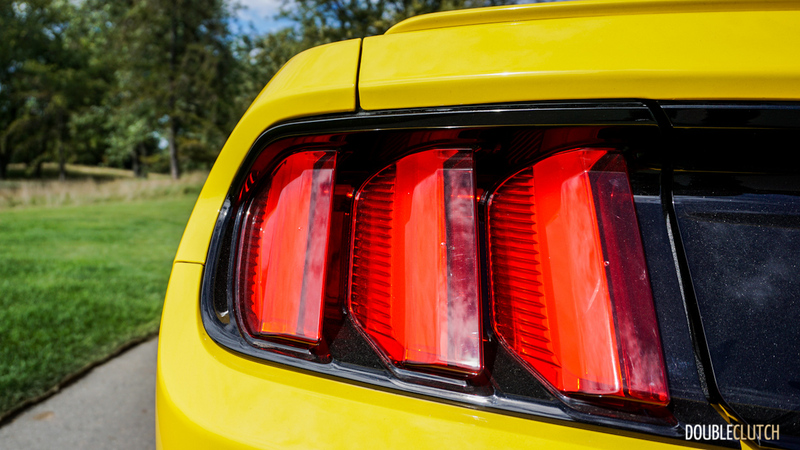 He maintained that the yellow Mustang would get just as much or more attention than most supercars out there. 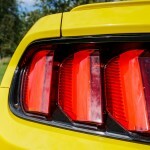 After spending a week with this Triple Yellow (an extra $550 well worth it) pony, I couldn’t agree more. 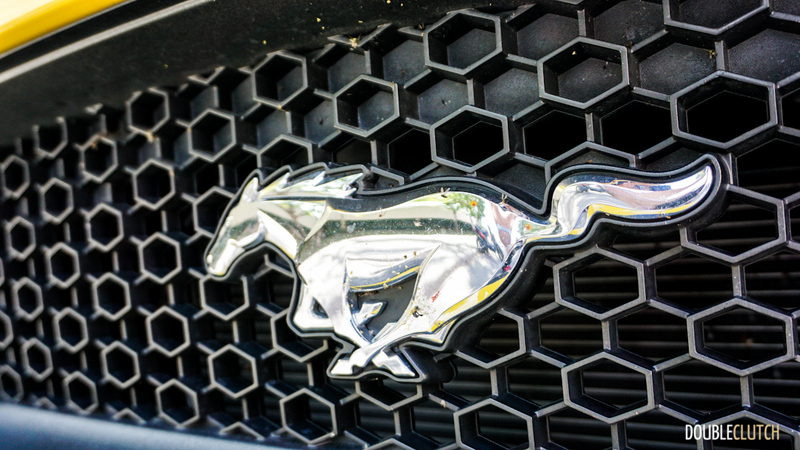 It seems as though every single demographic knows exactly what a Mustang is, and fifty years after the conception of this car, it still has that same special place in the hearts of North Americans. 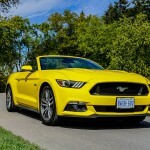 The styling of this latest model is a retro throwback to the original 1964.5-1968 model, and it’s immediately evident. 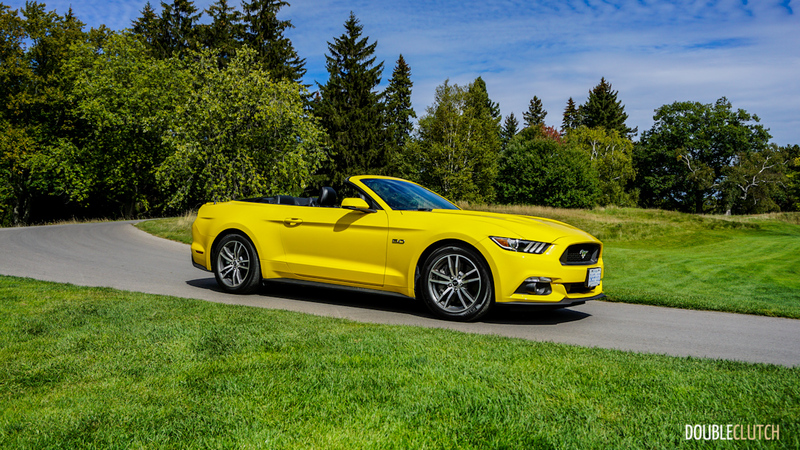 Ford first implemented this retro styling for the 2005 model year, and it has evolved dramatically since. 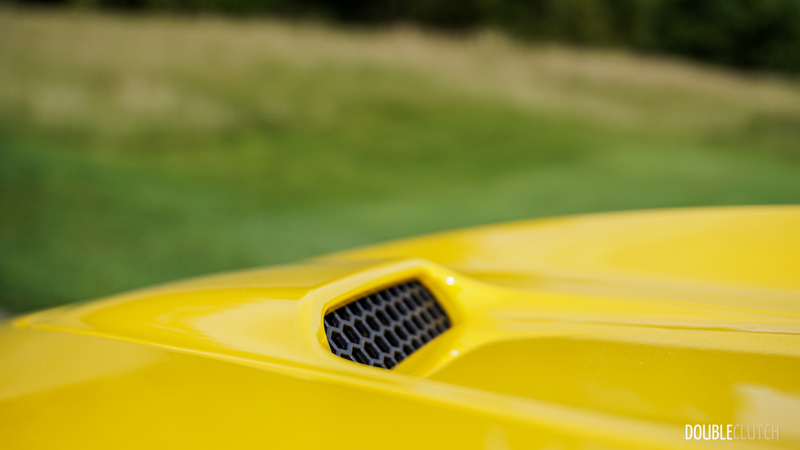 The fundamental lines are similar, but the entire body is more aggressive, with subtle ground effects and functional ducts in the hood. 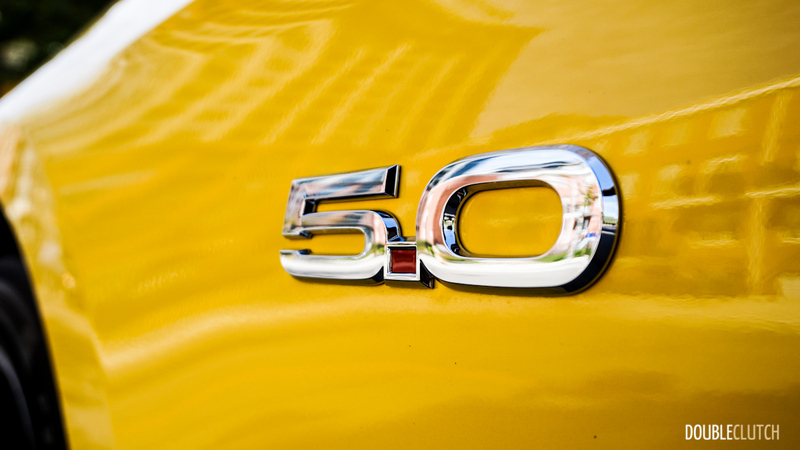 The iconic “5.0” badge on the fender is a devout reminder that you’ve bought the GT, an absolute necessity for Mustang buyers in my eyes. 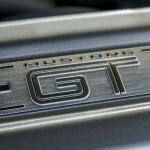 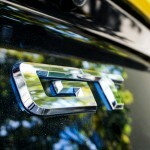 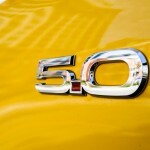 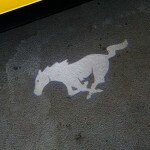 Those that aren’t familiar with Mustang lingo might be wondering what exactly the “GT” badge signifies. 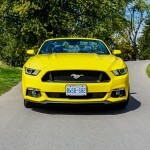 Even though the rear-wheel-drive pony can be had with either a 3.7L V6 or, new for this year, a turbocharged four-cylinder EcoBoost motor, GT models get the fire-breathing 5.0L V8. 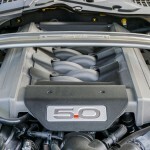 It’s naturally aspirated and makes 435 horsepower and 400 lb-ft of torque. 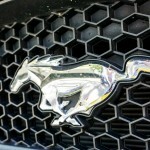 This engine is the heartbeat of the Mustang lineup, and is one of my all-time favourite motors. 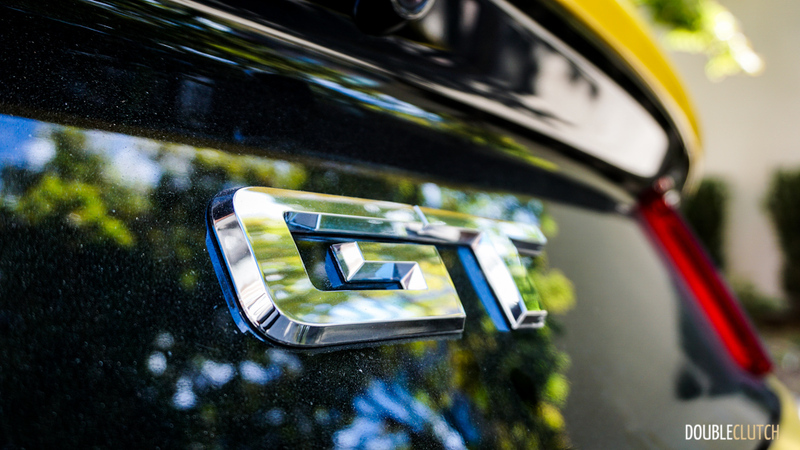 The GT is all torque, all the time, and has immense capabilities right through the broad power band. 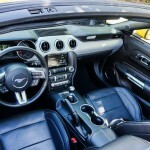 As with any muscle car, the six-speed manual transmission takes some getting used to. 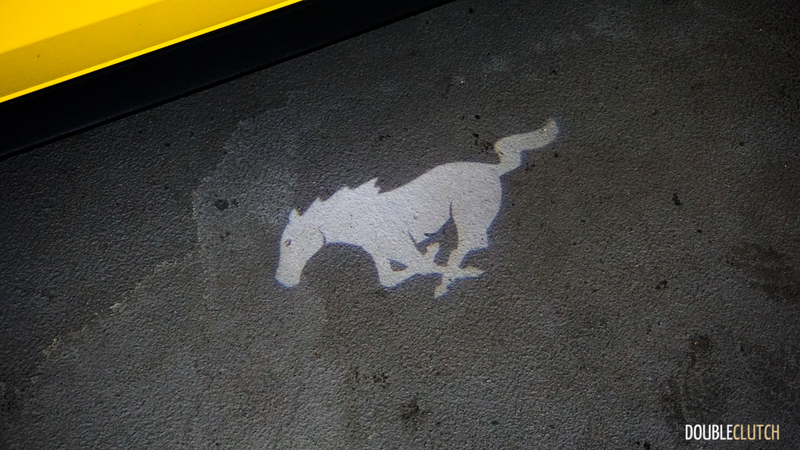 The clutch is on the heavy side and doesn’t let you forget the heft the Mustang packs. 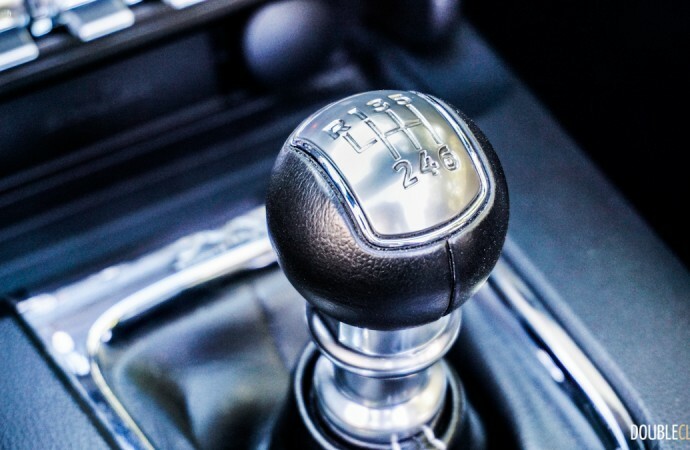 However, with this year’s redesign came a slick new shifter. 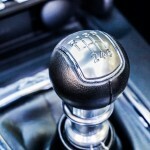 It has very short throws and a slim, easy-to-grip knob that makes quick shifting a breeze. 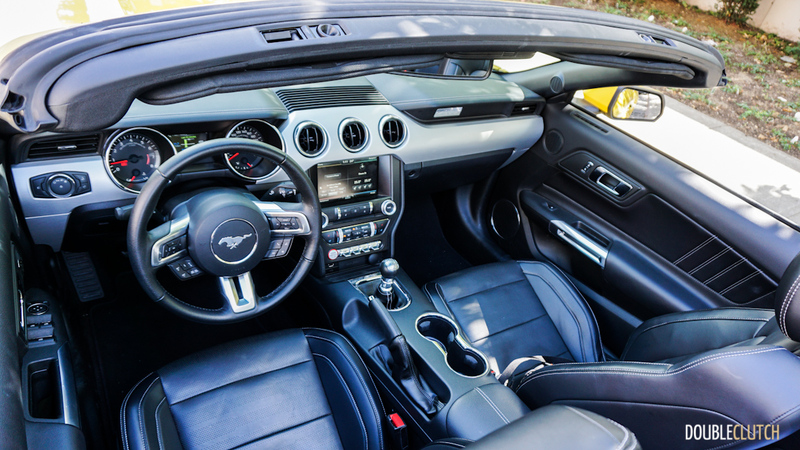 This is quite possibly the best transmission ever seen before on a factory Mustang, but there’s a bit of a disparity between the heavy, muscle car clutch and the shifter that’s seemingly out of a hot hatch. Those daily driving their pony will be pleased with the shifter’s ease, so no complaints here. 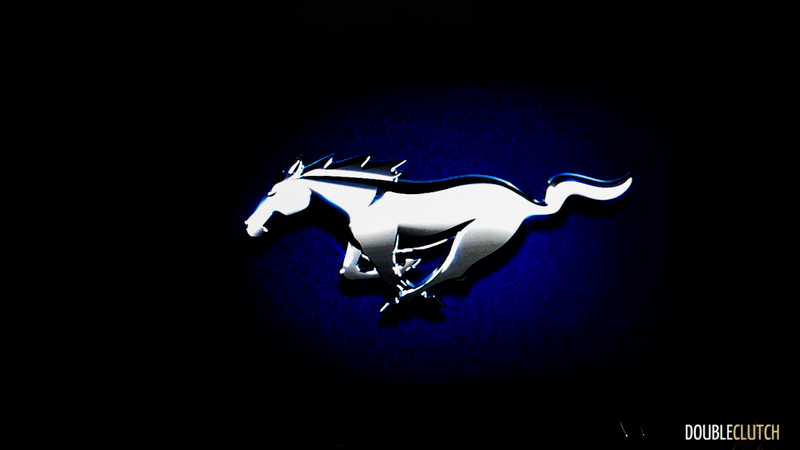 Disabling stability control is not recommended for the novice Mustang driver. 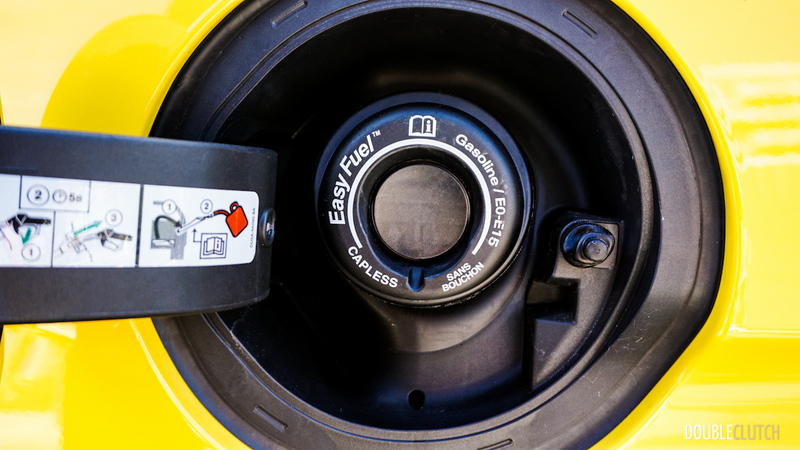 The throttle response is sharp, and the yellow hornet pulls like a freight train. 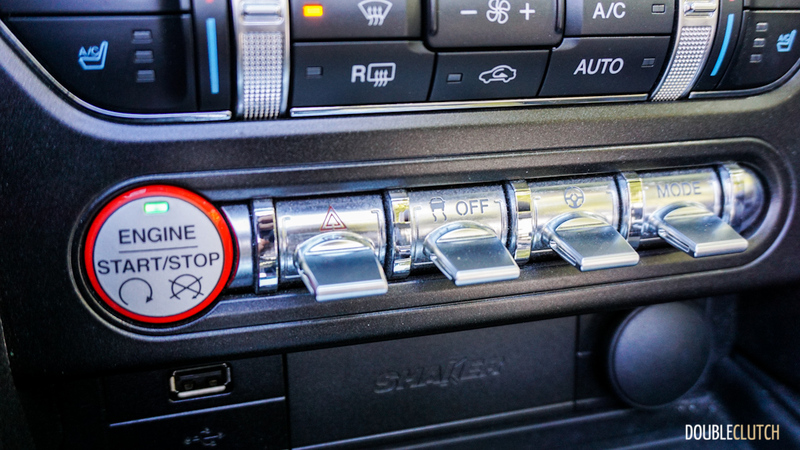 I found second and third gears to be the sweeter spots, but the car does have more than adequate power in all gears. 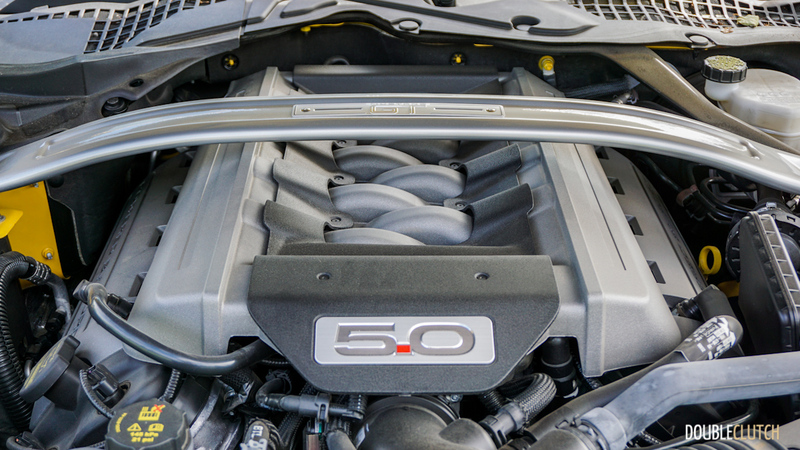 In a world dominated by turbochargers and superchargers, it’s a pleasant throwback to feel the thrust of a naturally aspirated motor with serious guts. 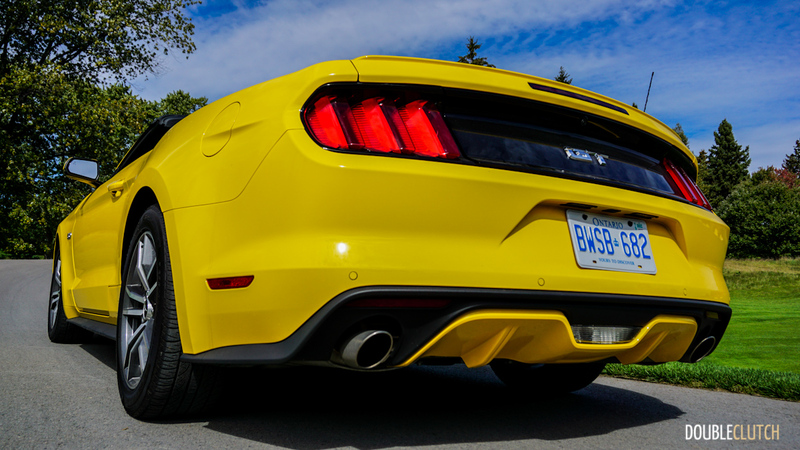 This V8 also makes a delicious, natural noise, but a freer-flowing exhaust or even straight pipes would bring out the sound even more. 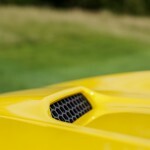 I’d have liked to have more engine acoustics in the cabin; this new model is a bit on the quieter side. 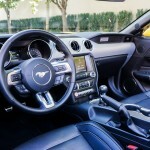 Thanks to the new independent rear suspension and steering setup, the Mustang GT has handling prowess to match its bark. 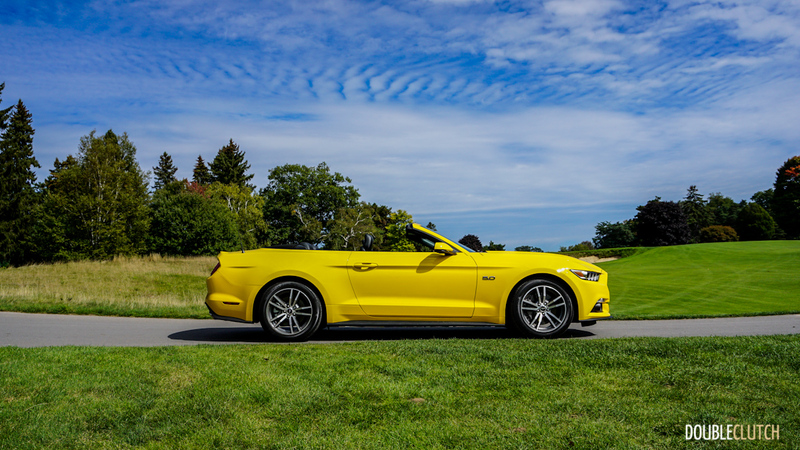 Being a convertible, it’s noticeably sloppier around corners and over bumps than the coupé model, but if open-top motoring is a huge priority, this is one of the best picks in the segment. 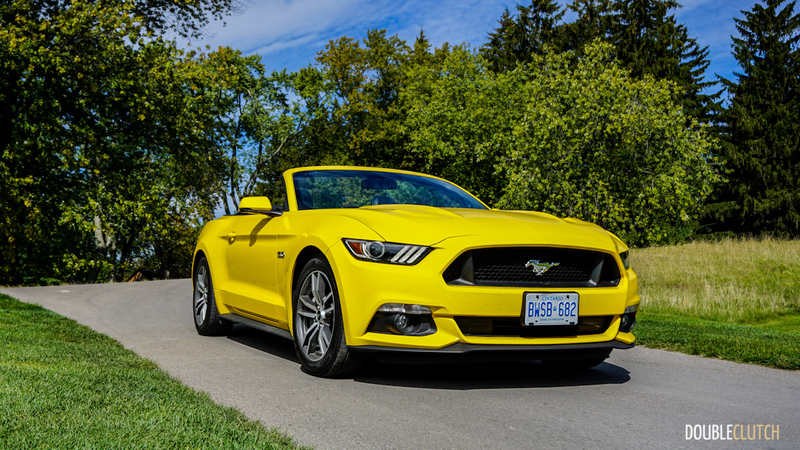 The Mustang does a decent job absorbing road imperfections and the ride quality is firm but not uncomfortably so. 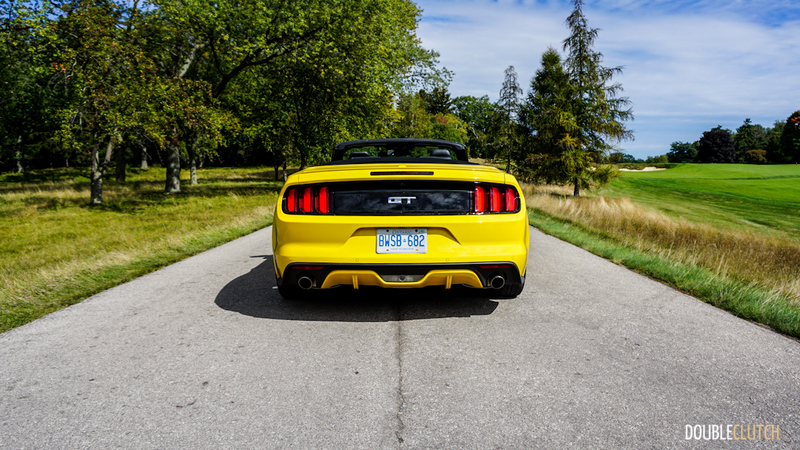 We did a short jaunt over to the American side of Niagara Falls, and the car handled the interstates beautifully. 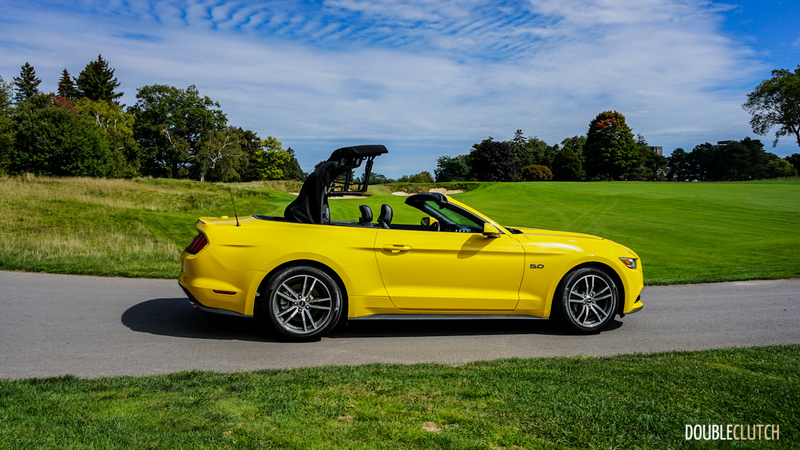 The one rear seat passenger (an adult male just under six feet tall) wasn’t too pleased with the roof closed, but I can’t think of a single convertible priced anywhere close to the Mustang where rear seat passengers are offered more space. 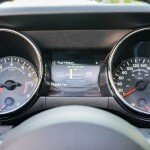 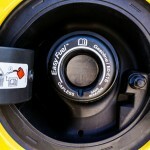 What also became evident on our mini road trip was the fuel mileage. 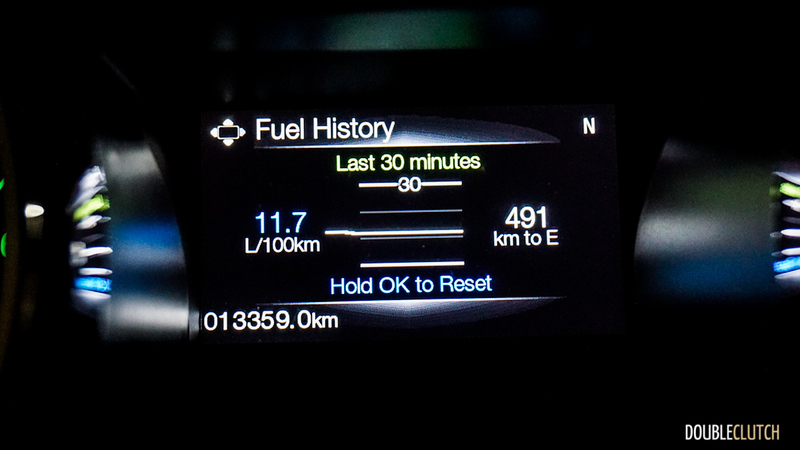 Despite being a heavy (pushing 4,000lbs) two-door with a V8 engine, plenty of luxurious toys, and no real effort towards saving weight, we saw a highway average of 10.2L/100km. 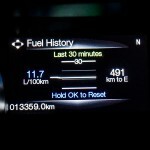 Our combined average over the week (and this included about 400km of bumper-to-bumper rush hour commuting) was no worse than 13.4L/100km. 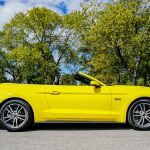 Combine this with the fact that according to the owner’s manual, the 5.0L motor can get away with regular 87-octane fuel, the cost to run a Mustang GT isn’t as high as one might think. 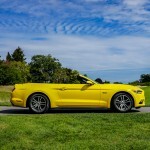 When compared to the Chevrolet Camaro SS Convertible I drove earlier this summer, the soft convertible top operation on the new Mustang is a clear winner. 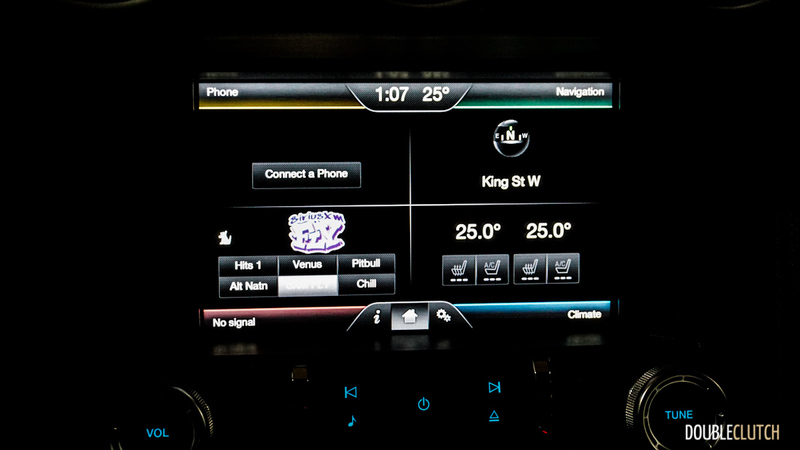 At low speeds (below 20 km/h or so), one latch unlocks the top, and then a button by the map lights drops the roof in about twenty seconds. 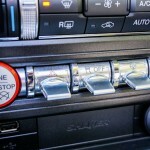 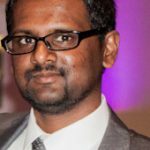 It can easily be done while waiting at a traffic light and the overall procedure is quick enough to do on the fly. 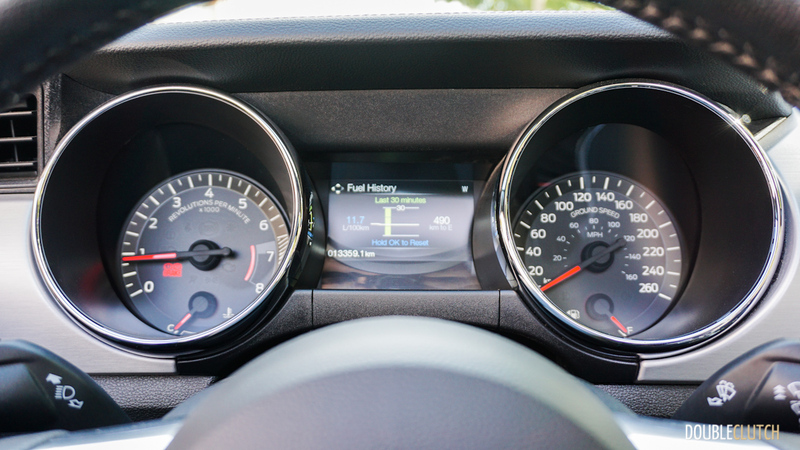 Road noise is at an absolute minimum for a convertible and I was able to carry on a conversation at normal volumes with my passenger even at highway speeds. 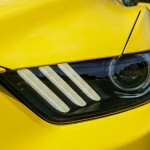 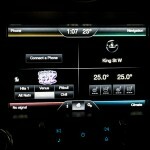 The Ford Mustang can be had for as little as $25,399. 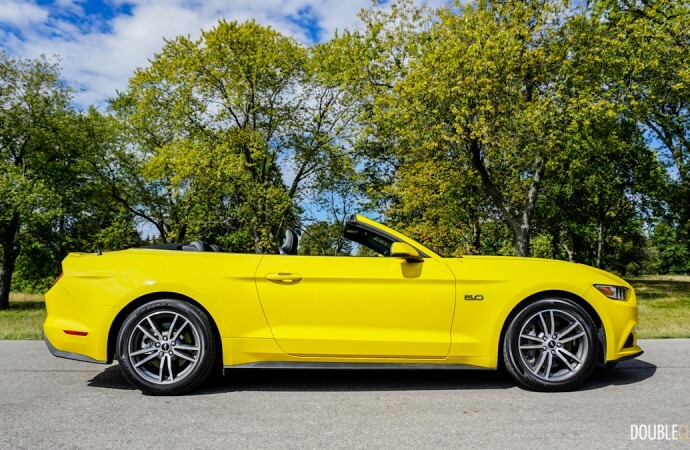 However, the GT Premium model in convertible body style starts at $48,499, which rises to $50,199 when freight and PDI are added. 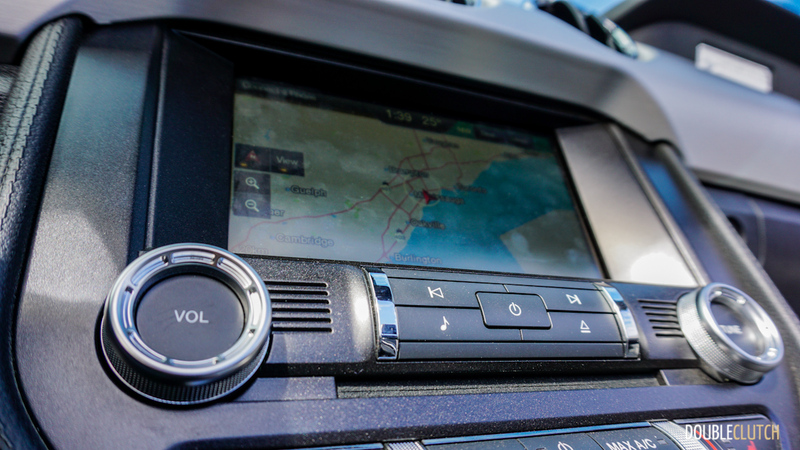 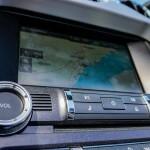 Our car also had the extra $2000 added for Equipment Group 401A, which adds a Shaker Pro Audio system with 12-speakers, a memory system for the driver’s seat, mirrors and ambient lighting, as well as the Blind Spot Information System with cross-traffic alert. 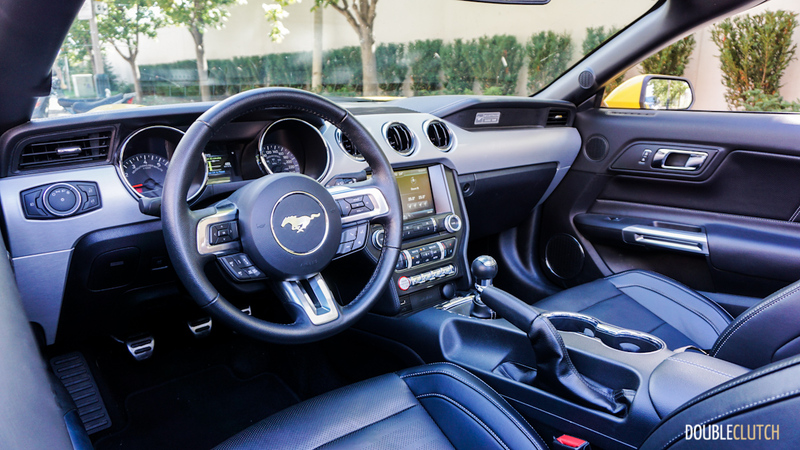 The standard GT Premium already comes with a leather interior, automatic climate control, HID headlights, LED sequential taillights, heated and cooled front seats, etcetera. 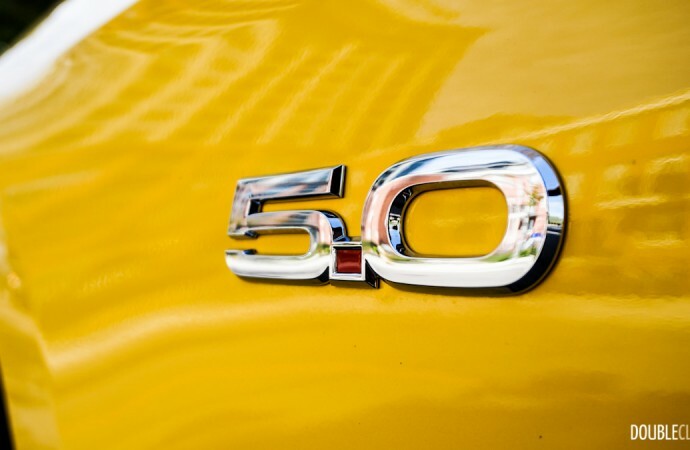 My particular test car came in at just over $55,000, which is a bit of a steep sum, but it’s worth noting that this is the most powerful motor with all of the luxurious toys. 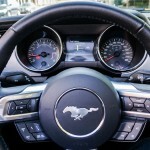 The reality is, this is a car you buy with your heart and not your brain. 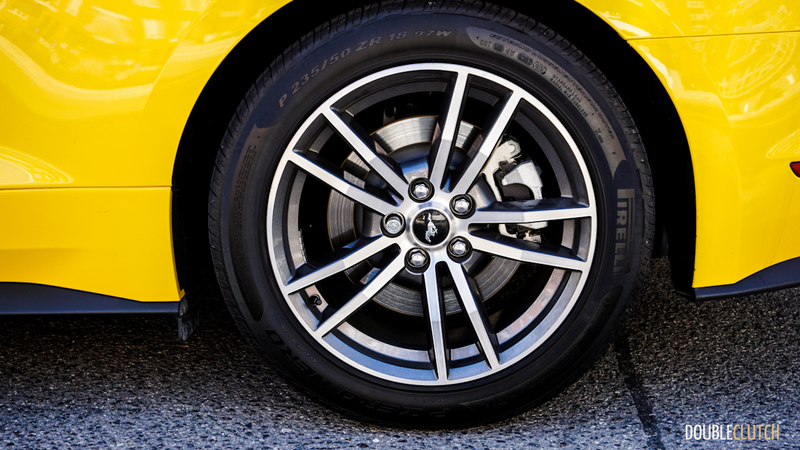 It’s not the most practical, the fastest, the most sensible, or the most efficient. 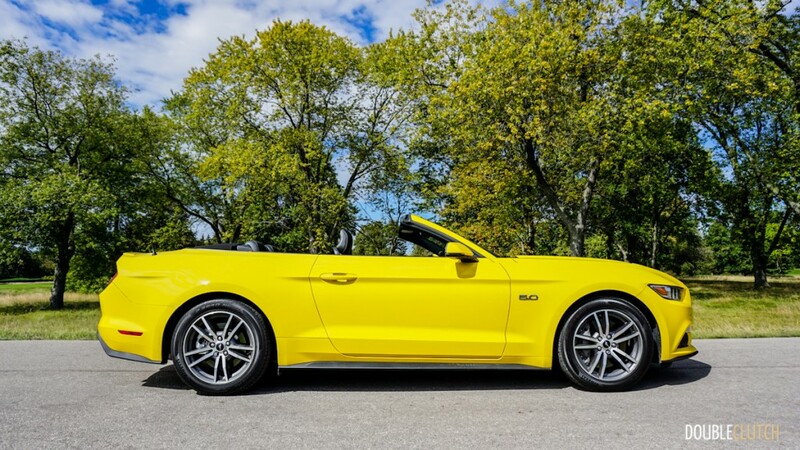 The 2015 Ford Mustang GT Convertible is a toy versatile enough for all ages, young and old. 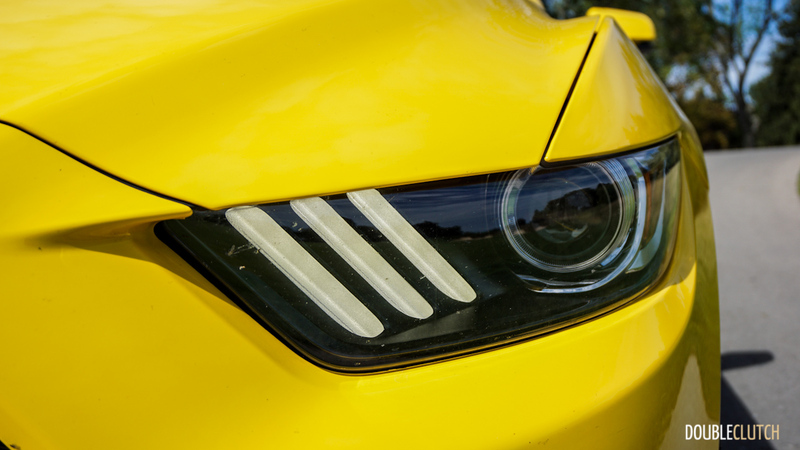 Men and women alike love gawking at this thing, and it yielded unanimous compliments on its stunning exterior and functional nature. 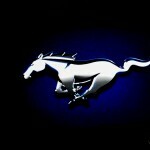 The Mustang’s two greatest obstacles have been its competitors; the Dodge Challenger was just redesigned for 2015 as well, and I personally prefer the Mustang. 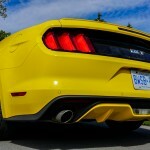 The new Chevrolet Camaro is on its way this year, and it’ll be interesting to see how it compares. 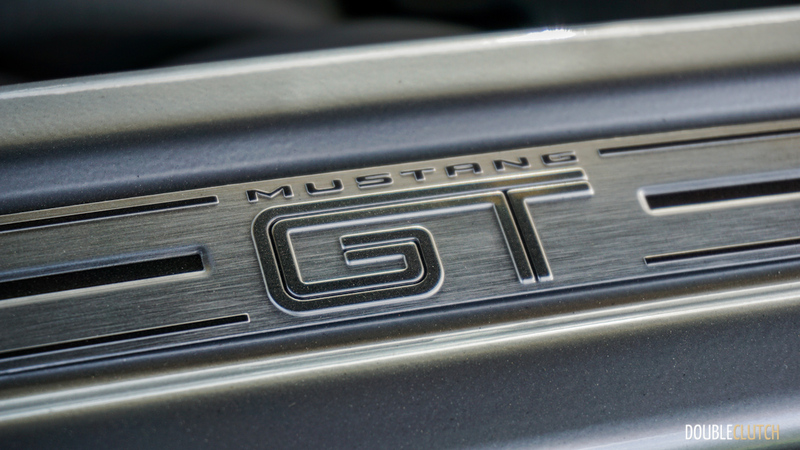 For now, the Ford Mustang GT is the king of the muscle car trio.